If this seems excessively prescriptive to some readers, consider what would happen if a marketeer tried to redefine the term 'electron' to mean 'proton', or 'big lump of green cheese', or something. This would instantly be recognized as absurd -- physicists own that term, and only they have the authority to redefine it. Many of you know I'm a lexicographer as well as a hacker. I can tell you what people who make dictionaries think about controversies like this -- that technical terms of art belong to the expert communities that define them. Only we, the open-source community, get to redefine 'open source'. And, occasionally, we do redefine it. OSI, the Open Source Initiative, added a tenth clause to the OSD a few years back to deal with click-wrap licensing. Right now, OSI is contemplating changes to deal with badgeware licenses of the kind Nat complains about. In doing so, OSI serves our entire community, and anyone get involved in the process through its license-discuss list. Normal evolution of the term within its defining community is one thing. Accidental or deliberate abuse of the term is another, and should be recognized and treated as such through education and persuasion and the occasional smack upside the head. Abuse is not a reason to abandon the term 'open source' any more than some fool babbling about big lumps of green cheese would be a reason to abandon the term 'electron'. Rather, abuse is a reason to defend and *explain* the term, so that it will continue to have a useful meaning. OSI does that. Nat's post amounts to asking if the community should give up the effort. I say certainly not. 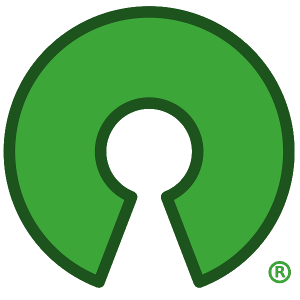 The only reason to abandon the term 'open source' would be if it no longer served a useful purpose, and there are at least two very large useful purposes that it does serve. Do we really need a reminder of why lots of people jumped on it in 1998? We had an image problem with people outside our community, especially businesses and governments. 'Free software' frightened them away; I thought 'open source' might attract them. Those of us who originally took the initiative in pushing it promoted 'open source' as a cold-blooded exercise in rebranding, and that worked; our community has ridden the label to levels of acceptance we barely could have dreamed of nine years ago. And guess what -- 'free software' still has an image problem, if only because the Free Software Foundation (FSF) has responded to the success of the 'open source' label by taking a position that is more purist, more territorial, and thus more frightening. By doing this FSF has ironically ensured that 'open source' would remain a necessary marketing hack in our community's relations with the rest of the world. But I think the more important purpose of the term 'open source' is not as a marketing hack but as a deliberately inclusive term for the entirety of a history and a culture that transcends any of our narrow internecine disputes about licensing and propaganda. Neither the FSF nor the OSI is the axis of that history. Our community didn't spring full-blown from Linus Torvalds's head, nor from Richard Stallman's, nor (perish the thought!) from mine. It includes 'free software' developers, but also tribes like those around BSD and X that are not centered on the GPL and rejected the term 'free software' with all its ideological baggage. And it includes many more to whom the GPL/anti-GPL dispute matters only a little if at all. 'Open source' also properly includes a lot of pre-FSF history like the early IETF and the Tech Model Railroad Club. It's now used retrospectively by people who lived that history. I have gradually come to understand that year zero of our movement was neither 1998 (the year OSI was founded) nor 1985 (the year FSF was founded). I now think perhaps it was 1961, the year MIT took delivery of the first PDP-1 and the earliest group of self-described 'hackers' coalesced around it. Adopting a more inclusive term for all this was good magic; it pulled people together, helping them recognize common ground and a common way of thinking and working. I think this (unanticipated) effect on the hacker community's conception of itself turned out to be as important as the rebranding effects on the rest of the world, if not more so. The flip side is that if not for 'open source', the community we cherish would be a significantly poorer, smaller, and more fractured place today. That's reason enough to keep it. Excellent analogy. However, I'm unclear how OSI provides the "occasional smack upside the head" to deliberate abusers of the term. I understand Tiemann's assertion that the market/community will correct itself. I hope this is the case. But I fear the recent "open source" companies that are flush with capital are redefining the term. Red Hat needs SugarCRM? Whaaaat...? Will SugarCRM and other well funded commercial software companies that misleadingly wield the banner of open source redefine open source? They've got the pockets and there is a lot of confusion about this outside the open source community. Hell, there is even confusion within the open source community. Socialtext. Disclosure: they compete with MindTouch. Socialtext proudly claimed to be open source since their formation some time in 2002. However, Socialtext didn't release a line of source code until July 2006. As you know this was/is under a non-OSI approved license. The only rebut I've ever read to these facts from Socialtext is that they supported Kwiki, which is odd because Kwiki really hasn't progressed for years. Moreover, I don't understand what this has to do with Socialtext being open source. They weren't selling/distributing Kwiki. Yes, it's good Socialtext is now making an effort to adhere to the OSD, but this all seems very strange to me. Especially that no one has called these folks out for this behavior. Is it my responsibility? It shouldn't be. If anything there is a disincentive for me or others to speak out against a company like this because they have significant influence over huge numbers of people who are confused about open source or worst yet have it defined for them by said company. What is their incentive to comply with OSD? According to blog posts by Mayfield it's so they can display the OSI 'badge' in a similar fashion to which they wish their users to display a Socialtext 'badge'. Sure, people get confused, companies make mistakes and this can result in abuse. In these cases education and persuasion should be the prescription. But how do we as the community (or OSI), as you put, defend and/or administer the occasional "smack upside the head"? Does this take place somewhere in a back channel I'm not aware of? How do the 'ignorant' masses know this? Open source is just coming out of the FUD-phase and there are lots of people who still don't understand open source and its benefits. Without the masses being aware of abuse I don't see how it will cut into the bottom line of a company; thereby providing incentive to change. Without the fear of a "smack" I see no reason for companies to respect the OSD while their pockets are flush with investment capital. To the contrary in fact. I do fear that recently enriched "open source" companies are going to strip the term of all meaning. I think it's already happening. Maybe Alfresco is an example of this trending in the favor of open source. I don't know, but I hope so. Maybe after these companies burn through the cash they'll realize open source works to the benefit of everyone: their company and the community. By then maybe the damage will have been done. I fear the slippery slope and I'm afraid we could be on the precipice. I've made the mistake of underestimating the power of prolific bloggers in the past. Couple this with some deep pockets, strong relationships with powerful journalists, and...I don't want to wake up one day to find open source is just another hollow promise like the objectivity of journalists, the Bush prescription drug plan, or Britney and Kfed. By the way, thanks for blogging gang. Keep it coming.